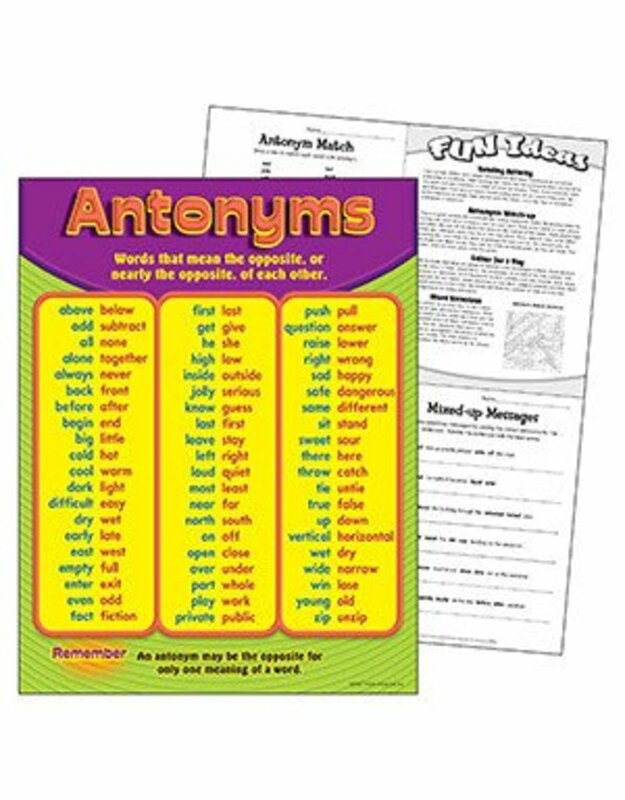 Teach basic antonyms and increase students’ vocabulary. Reinforces reading skills too. Durable. Extra Value: Reproducibles on back. 17" x 22".